A Ruddy Darter, Sympetrum sanguineum at RSPB Fowlmere today. It was a terrific afternoon to take a four year old exploring. We watched dragonflies buzzing over the reeds, butterflies dance in the glades, a young grass snake swim across a pool and a common tern hunting the mere from Tower Hide. Young eyes were filled with wonder and questions that one hopes will last a life time. 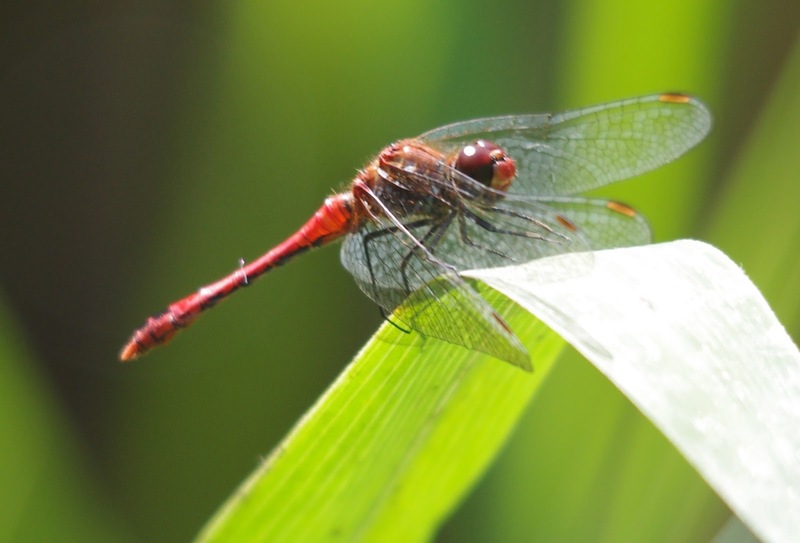 Ruddy Darter, Sympetrum sanguineum. Bookmark.